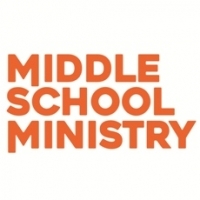 Middle School Ministry is designed to provide children/preteens in the 6th through 8th grade with a fun filled and spiritual environment for Biblical knowledge and understanding that impacts their everyday. The middle schoolers are provided with Biblical concepts and lessons that aide and assist them with practical application. The application is given through opportunities for questions and answers as well as games and activities that reinforce the concepts and lessons. In addition, the activities and games helps reinforce positive social skills that eventually impacts their home and school settings. The middle schoolers are encouraged to bring their hardback or digital Bibles to participate in discussions and review scriptures. The middle schoolers are initially in the main sanctuary/auditorium and are encouraged to participate in the singing and worship experience. The middle schoolers are officially dismissed by someone on the pulpit/stage and parents are able to officially check in their middle schooler as they are leaving the main auditorium/sanctuary. The initial contact person will be recognized on the pulpit/satge so the middle schoolers and parents can know the contact person. Parents are welcomed to attend the class with their middle schooler if so desired. The persons serving in the Middle School Ministry have had a background check and are cleared to serve the middle schoolers. The middle schoolers are released after service and will meet with their parents in the sanctuary/main auditorium, unless the middle schooler is hanging out around campus, usually on the playground. We look forward to empowering your middle schooler to return to you in a spiritually positive manner that was different, and hopefully better, than when he or she was given to us. There is adequate parking on the school campus. Life Empowerment Church offers children's ministry for children age 1 through high school.